SLIME. If you haven't been introduced to it then where have you been. This has been the latest obsession with my children for quite some time although so far we haven't mastered making a good batch (apparently not the right contact solution). They've been reliant on their friends making it for them. Just a couple of weeks a go the ten year old came home with a storage box filled with blue slime! But that was all set to change when we were sent the handy book, The Slime Workshop. Whip up these 20 cool slimes created by slime enthusiast Selina Zhang (@anathemaslime ) Follow the step-by-step instructions to make slimes to squish, stretch, poke and play with. This book is like slime lover heaven. From glow in the dark slime to fluffy slime, jiggly slime to the all important unicorn slime. There are so many possibilities that not even my kids had heard of. The book is super easy to follow, with plenty of tips and explanations. My eldest particularly enjoyed the scientific introduction to it all when getting started. I'd heard talk about borax and liquid starch but never really understood the importance of what I now know are the activators, the ingredient that essentially binds the rest of the mixture together. 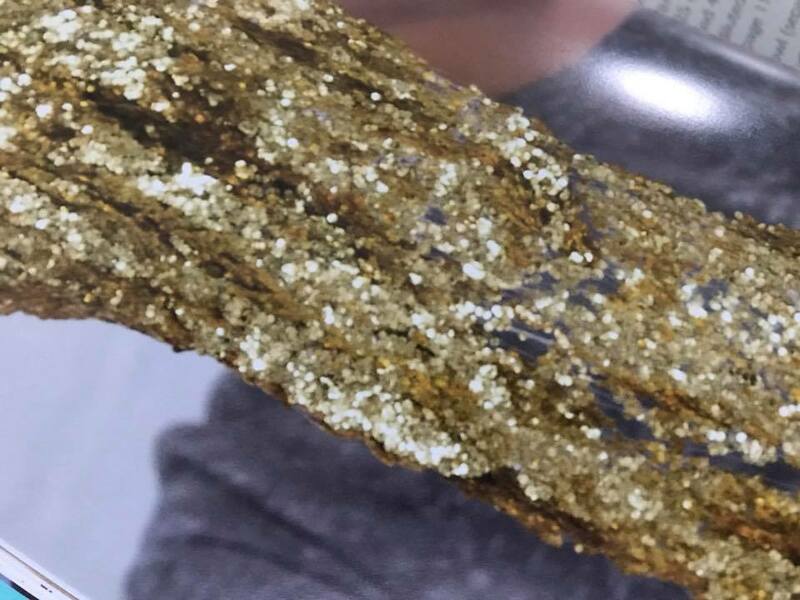 And then it depends on what recipe you're conjuring up as to what extras you might require these can be anything from shaving foam or lotions to glitters and food colouring. Now as much as the idea of putting my hands in the slime isn't the most appealing I can understand just why little ones love it. In fact slime can be great for sensory play so these variations with the slime can allow exploration with different textures, colours and effects. From a parent point of view I love all the handy tips inside, especially the one about getting slime out of your hair, there's always going to be one that does it isn't there! 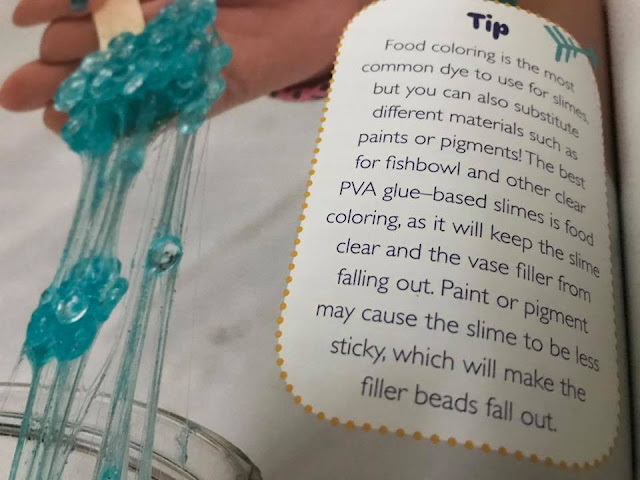 My girls would definitely recommend the Slime Workshop book. Most of the ingredients you tend to have within your house, if not it's only a quick trip to the shops. Making slime is an ideal rainy day activity and once made it can be stored and used again for quite a few weeks. It's been a fantastic way of getting my lot to sit down and do something together, ok they argued over what colours to use but hey you can't win them all can you. 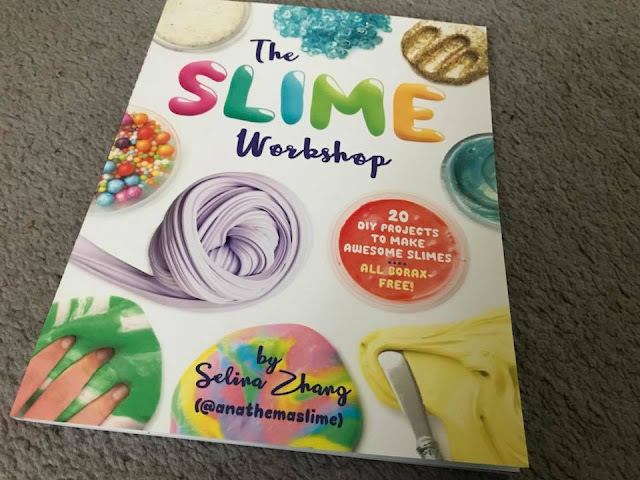 If you want your kids to get creative whilst learning about science at the same time then The Slime Workshop is the book you want. My daughter is the slime expert! She sells it to friends and has her own slime IG account, but it sounds like there might be some new varieties here she hasn’t tried. The only problem she’s found is that most recipes online are from the US and some of the ingredients they use aren’t available here. Ella has had much success with her slime making efforts either and if I hadn't eventually banned all slime from the house (I found some she bought from a friend, dried to the carpet and another batch from another friend slowly making its way down the radiator! ), I would have bought her this book! My daughter would love this book! The only slime that we had success with was with washing powder and baking powder. Slime with glue didn't work for us at all! !